Sidewalk counseling could be likened in some ways to working on a production line. It is repetitive. However, real human beings are intrinsically involved, and it could sadly be more like playing a sport and being a member of a losing team. In fact, the humans are losing BADLY. If there was a scoreboard, it would show 0-20 or 0-30 against your team on a daily basis. The odds are obviously very high against you scoring, but the value of just one "save" is worth all the effort. Other rewards are gained in totally unexpected ways, as well. Not surprisingly, they serve to inspire and reinforce the work involved. As one witnesses a prolife sidewalk counselor outside of 1055 Commonwealth Avenue in Boston, an observer might wonder if he or she has the feeling and loneliness of a long-distance runner. No, because it is not really lonely. While the perseverance needed is the same, there are no wreaths or medals to be earned – only the personal satisfaction that one is doing God's work. That fact, however, gives back a far greater reward. God also gives back in ways we don't expect.. The single desire of the sidewalk counselor is to convince each client entering this business enterprise to make one decision. That is to avoid going through with the act of terminating the existence of a unique, new human being, whom she is carrying within her womb. The fortress-type structure looks the same as prior to June 26, 2014 when the U.S. Supreme Court, by a unanimous 9–0 vote, declared a 35-ft. sidewalk "buffer zone" unconstitutional. Planned Parenthood's response was to add a team of "escorts" in identifiable aprons to assist their clientele to enter, ushering them hurriedly into the main entrance. Quest Diagnostics, UPS, the U.S. 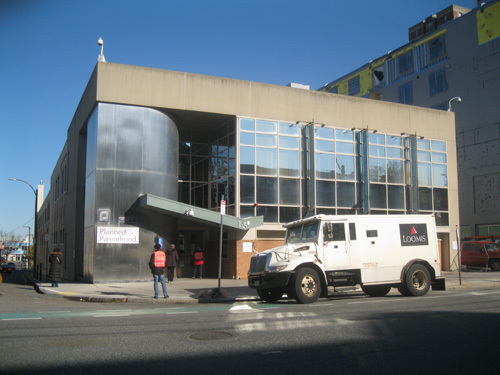 Postal Service, and an armored car to pick up the "blood money," all make daily curb stops. Right To Life counselors, while now closer in proximity to clients, have about a half- minute to offer "free pregnancy help" and to request that the client "Please – let your child have a BIRTH day." It's really a stretch to call that counseling, but more like acting out the biblical dictum to be a "doer of the Word." Churches have tacitly surrendered totally to Planned Parenthood here in this land of the Pilgrims. To the surprise of many in the Right To Life movement, the subservience continues even after the revolting undercover video expose of the harvesting and sale of baby body parts by America's leading abortion provider. The silence from the pulpits harkens back to Nazi Germany in the 1930s. The sad reality is that it seems apocalyptic. The counselors are all Christians, the overwhelming number being professed Roman Catholics. The Boston Catholic Archdiocese, however, cowered to Planned Parenthood after the harvesting of baby body parts revelations – to the point of silencing the pulpits and refusing to publish Letters to the Editor in the Pilot by a sidewalk counselor. About 1/3rd of the clientele are African-American, but they also constitute about one-half of the "saves" in what is the Black Genocide in America. Another 1/3rd are college-age, and the final 1/3 come from an assortment of races and ethnic backgrounds. Tattoos are quite evident and occasionally, a client is wearing a cross around her neck. Sidewalk counseling, in a sense, now is more of a prayerful endeavor with a chance to affirm, in words and with a visual, the truth of how we are created in God's plan – and how His plan is to be carried out. A 2-hour stint will always produce some lasting memory of His Providence to take home. One such occurred on a recent Friday which was the start of a balmy spring weekend. The traffic through the entrance was normal with "escorts" quickly situating themselves between the client and the sidewalk counselor. There were few conversations. The half-dozen counselors were standing at various sidewalk locales with handouts and/or signs. At 11:30AM a few counselors ended their stay by exchanging bags of baby clothes, dropped off at their churches by pro-life parishioners. They would be sorted and brought to shelters such as Pregnancy Help and A Women's Concern. 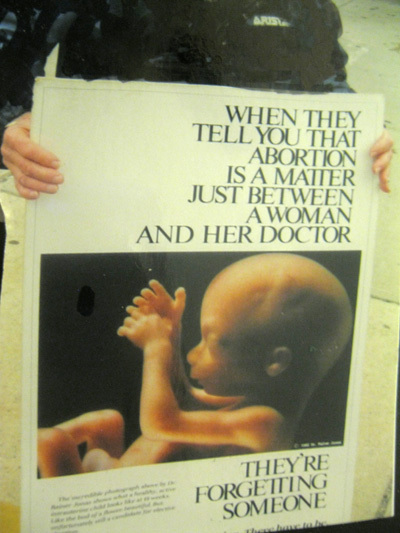 One counselor would stay until noon holding a 2 x 3 ft. sign with an actual photo of a 19-week child-in-utero and the words, "When they tell you that abortion is between a woman and her doctor – They're forgetting someone." It tells all – and succinctly. Most passers-by are blank-faced and some very cold. Occasionally, an individual will give a positive response and it is a pick-me-up, but the overwhelming majority of people do not even acknowledge a pleasant greeting – casting only a brief stare at the visual. This Friday, however, a seemingly meaningless sight occurred in the 11 o'clock hour which would take on a new meaning around noontime, when it is taken in context with another happening. In fact, it could very well be called Providential. A Doritos delivery truck stopped for a relatively long time on the street between PP and the Star Market, where it had just made a drop-off. 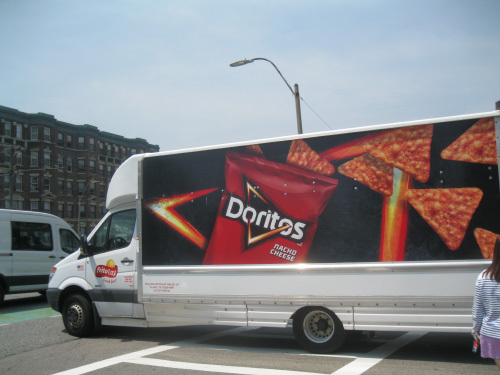 A heavy traffic of vehicles required a very long pause before turning right on to Commonwealth Ave. Doritos, the Frito Lay product, was the subject of a much-publicized ad at the Super Bowl on Feb. 7th. 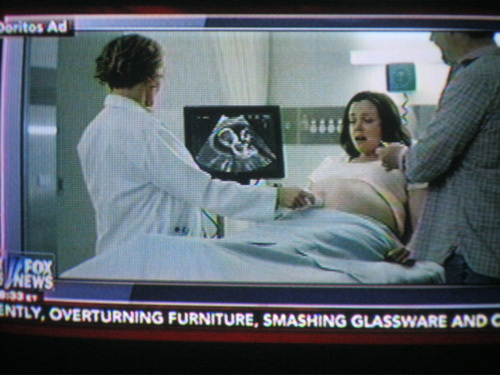 The spot earned considerable publicity because it beautifully depicted an ultrasound of a child in the womb of an expectant mother. The reaction to the father's offering a Dorito to the mother – and the pre-born baby reaching for it produced the high point of the ad. The child's excited reaction to the Dorito during the most watched football game of the year was also a moment of much consternation to the abortion industry. It put the lie to PP's claim to be in the "women's health care" field. The publicity generated by this daring brand-new marketing technique elicited a comment from Planned Parenthood's CEO Cecile Richards. It had to rank with the most banal ever uttered by this highly-paid trumpeter of their "health care" mission. She criticized those in the Right To Life movement and the producer of the ad for trying to "humanize the fetus." That statement could only have been exceeded by the outright falsehoods in Planned Parenthood's reaction to the revelations in the videos after the undercover tapings by the Center For Medical Progress. 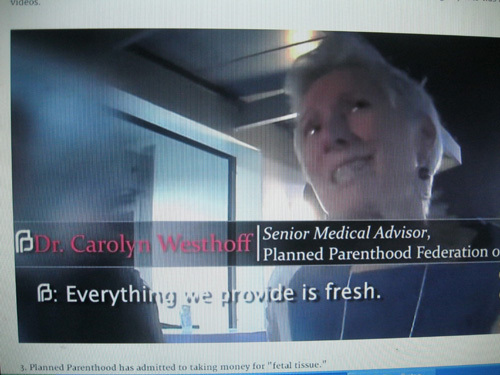 The callous comments of their smarmy officials such as Dr Deborah Nucatola, PP's Medical Director about the harvesting of baby body parts, were nauseating – and clearly displayed Dr.Mengele-like thinking. The expose produced explicit evidence of the cynical view of humanity by those in power at the Planned Parenthood Federation of America. On that sunny Friday in front of 1055 Comm Ave., the foot traffic was fairly light, and as noon approached the lone remaining counselor on the sidewalk stood about 10 feet from the entrance. 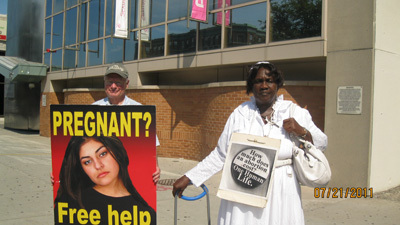 He was holding the 2 x 3 ft. picture sign and facing those approaching the building – with the 2 escorts about 10 ft away. Lo and behold, along came an attractive young woman in her 20s or 30s walking with a toddler in the direction of the Star Market. It became obvious rather quickly that the toddler had lost the string of his balloon, and it was blowing a few inches off the ground toward the counselor – with the wobbling youngster trying to chase it down. As the balloon made its way toward the abortion clinic building, the alert and very calm mother reached down and pinched the loose end of the string – while the toddler ended upright in front of the counselor's sign. With his finger straight, he pointed horizontally at the picture – repeatedly. Looking down as the youthful observer continued his pointing gestures, the counselor said to him, "Yes, it's a baby – a baby." At that instant, however, the event took on an all-encompassing new dimension. As his mother turned, what became evident was that she had a perfectly-formed, basketball-shaped rounding of her abdomen. It was truly an eye-opener to the counselor. The entire scene had changed completely. As she took her son's hand so they could start to move along, she paused for a few moments and then said to him "Yes, just like the baby inside mommy." Needless to say, in those few minutes this entire scene took on a surreal aura. After that pause, as the mother readied to commence their journey along the sidewalk toward the market, the now somewhat wide-eyed counselor said to her, "Your words depict what this scene is all about. Thank you, and God bless you and your family." Then with her son and balloon in tow, and displaying that uplifting, glowing countenance, she turned back and said, "And to YOU, also." In an extremely rare act of directing words at the other protagonists in this sidewalk scene, at this point the counselor could not resist a comment to the statuesque "escorts" about what had taken place. "You just saw what WE are all about," he said. They then seemed to become even more frozen – and they remained in stone-faced silence. This vignette depicts the essential goodness of God's purpose in His creation of human life. On a sidewalk, which was the actual stage for a U.S. Supreme Court decision affirming our right to even stand on it and convey His purpose, a confluence of happenings, emotions, words and ironies served to make His message absolutely clear. With a glowing countenance as she carried within her a new member of the human family, this mother provided a stark contrast to the dour faces of the abortion facility workers. All those associated with Planned Parenthood, no matter how hard they try, simply cannot hide the guilt of assisting in the termination of a perfectly innocent, new human being. An unrehearsed scene, a loveable toddler, a runaway balloon, the captivating, radiant face of an expectant mother, and a genuine photo of God's greatest gift – while still in the womb . 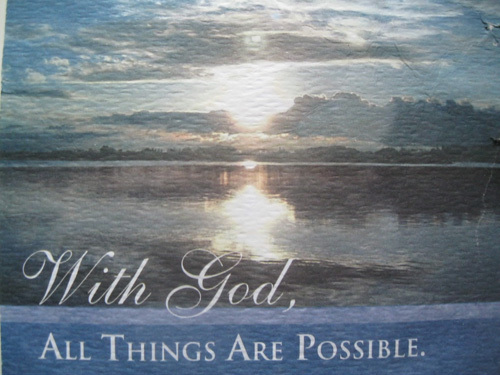 . .
What more inspiration to pursue His truth is needed.